I love this knitting magazine. It reminds me of the creative magazines of the 1970’s, the ones that inspired me to learn to knit and crochet. It offers lots of patterns for quick things to make in every issue. Timely things I would actually use or wear. 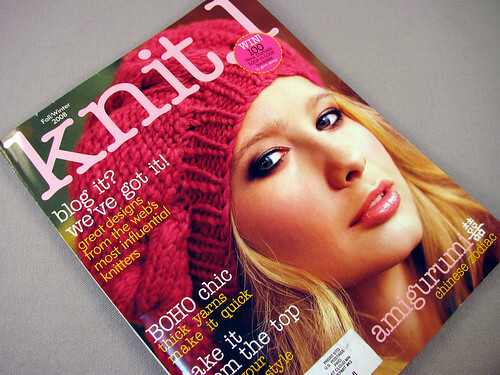 There are several cute sock patterns and two slouchy berets in this Fall/Winter2008 Issue. There is a nice article on top down knitting too. This entry was posted on Monday, December 22nd, 2008 at 3:00 am and is filed under Crochet and Knitting. Tagged: Crochet, Knitting, Magazine. You can feed this entry. You can leave a response, or trackback from your own site.